Excel Plumbing, Inc. "Where Quality & Service Come First"
We now accept credit cards for quick easy payments. Call Mike at 761-5001 to make a payment. It is a good idea to remove all hoses from exterior faucets during the winter. >>Read More. Where's that drip coming from?! From the moment we answer your call, you'll notice the Excel difference! It starts with our staff. You will be greeted by a friendly and knowledgeable service technician who will listen and promptly provide you with alternatives to resolve your problem. Next you'll notice Quality in the products we use and the work we perform. We will help you choose the right product for the job at any budget. Finally, Service. We pride ourselves on the service we provide. If you are not 100% satisfied, I want to hear from you. 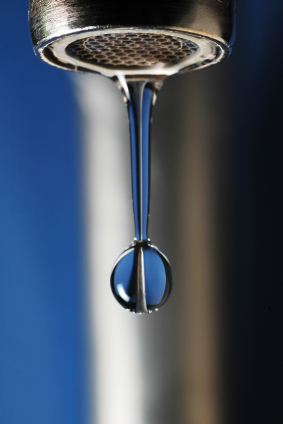 drips can turn into a major water problem. Servicing all your plumbing needs in Winston Salem and the surrounding Triad communities, Greensboro, Kernersville, High Point, Clemmons, Mocksville. We specialize in fixing old and new plumbing, faucet, pvc, toilet, sink, shower, drain, pipe, pipe fitters, roto rooting, plumbing fixtures, drain cleaning, water line, sewer line, sewer repair, drippy faucet. Questions or problems regarding this web site should be directed to service@excelplumbing.ws. Copyright © 2008-2012 Excel Plumbing Inc. All rights reserved.